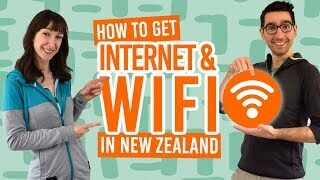 How to Get to New Zealand. So you’ve figured out that New Zealand would be a pretty awesome place to visit. But how the hell do you get there? Well, the cheapest and fastest way to get New Zealand is not roping together a couple of sea turtles, but by taking a flight. However, because New Zealand is far away from almost everywhere, you will definitely want to put some thought into how you are getting to New Zealand. Depending on where you are travelling from, your flight to New Zealand will be pretty straightforward, especially if you are come from the US, Canada, South America, Asia or Australia. Coming from Europe, on the other hand, means you’ll need to do a stopover on the way to New Zealand. Nevertheless, wherever you’re coming from, you will still need to go through immigration and biosecurity once you arrive in New Zealand. We’ll go through everything in this beginner’s guide to getting to New Zealand! 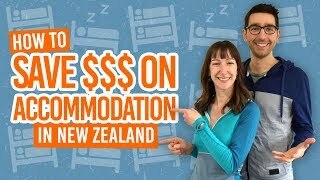 How much does a flight to New Zealand cost? The cheapest time to fly to New Zealand is during New Zealand’s spring, winter and autumn months (between July and November). Summer and particularly around Christmas is the most expensive time to fly to New Zealand. It is also usually cheaper to fly at “inconvenient times” of the day such as late at night or during the early hours of the morning, as well as mid-week rather than on weekends. Having a flexible travel plan allows you to choose the cheapest flights. We have a lot more advice in How to Book a Cheap Flight to New Zealand. Finally, a one way ticket tends to work out cheaper than buying a return (or very similar prices each way) and definitely cheaper than an open ticket. This is also useful if you want to keep your plans open. Find out more in Flight to New Zealand: Return Vs. Open Return Vs. One Way. Direct flights to New Zealand are from Australia, USA, Canada, China, Hong Kong, Singapore, Japan, Korea, Malaysia, Thailand and Chile. If you are travelling from outside these countries, then you will need to get a connecting flight to one of these countries. When looking for an airline and, more specifically, a route to take to New Zealand, it’s best to compare on a flight comparison website first. Once you have an idea of the routes and which airlines use those routes, it’s best to book the flight directly with the airline for the best deal and the best seats. More information can be found in Travel 101: Booking Direct Vs. Online Travel Agents Vs. Travel Agents. Air New Zealand – find out more about the New Zealand airline in Why Air New Zealand is Awesome. Which airport to arrive in New Zealand? There are five international airports in New Zealand: Auckland (AKL), Wellington (WLG), Christchurch (CHC), Queenstown (ZQN) and Dunedin (DUD). The most common arrival airports are Auckland and Christchurch. Choosing an arrival airport depends on where you want to start your trip. If you want to start in the North Island, then you’re likely to start in Auckland. If you want to start in the South Island, then you are best to arrive in Christchurch. However, if you want to take a flight to a more specific location in New Zealand, then it’s likely that you’ll arrive in Auckland then take a domestic flight to one of the many domestic airports in New Zealand. Find out more in Domestic Flights in New Zealand. Usually the cheapest option is to arrive in Auckland. When flying to a New Zealand airport, there are a few processes that you need to be aware of. First, you will need the right visa to get into New Zealand. This is organised through Immigration New Zealand. The type of visa you need depends on what you’re intentions are in New Zealand and how long you plan to stay for. 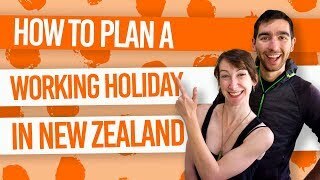 Take a look at What is a Working Holiday Visa?, Visitor Visa: Do You Need a Visa to Visit New Zealand? and Which Visa Do You Need to Study in New Zealand? for more information. Now prepare for your flight!